the lasted technology with best price in the Egyptian market . 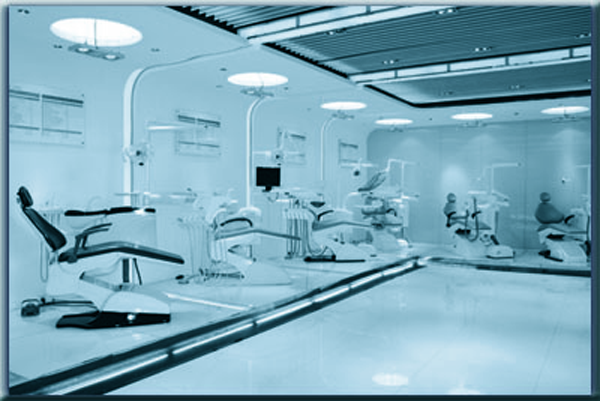 2- providing the dental clinic , dental market and dentists with different services such as Maintenance , courses . planning and furnishing clinics and Centers. We also were successful in obtaining several agencies from greatest companies &factories in China which we use to Furnish private clinics , government clinics, government and private college clinics. After attending several international exhibition within 6 years now , we acquired special experience from our foreign partners which we really keen to make it availably here in Egypt ,regarding educational and technical aspect. And to reach that , we enroll our technicians into periodical courses to reach the level of efficiency that a dentist will be satisfied to obtain. Our latest activity is arranging educational courses for dentists from different ages so as to increase their educational level about latest technologies in the field of dentistry , besides we put into consideration providing our dentist with lasted courses worldwide . At Last but not least ,we always trying to be available all over the country by opening new branches to cover our services (Alex .Dumyat ,Mansoura , Mahala , Assuit ,Aswan ,beni swif ,Menia ) .